Future of Finance Summit sponsorship offers a wide range of benefits be it in thought leadership, brand building or pure networking to develop tangible business leads while ensuring high brand visibility. 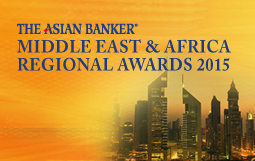 Seize the opportunity to be a part of the most prestigious annual platform for the financial services industry in the Middle East and Africa region to achieve your most important business goals for 2015. Showcasing your thought leadership to an audience of senior executives by speaking at the region’s premium platform responding to global themes. Establishing business relationships with peers from across the financial services industry in the Middle East and Africa via opportunities created through our interactive dialogues and private briefings. Generate tangible business leads and expand your contact base by networking with senior decision makers from across the financial services industry. Achieve title branding and positioning through official event webpage and all collaterals. Garner global publicity via our public relations, advertising and promotion efforts. Profile yourself as the industry leader via logo branding and by featuring your literature in our publications and weekly newsletters. Gain significant visibility and enhance your corporate image by displaying your investments to a group of highly targeted senior executives.